The drama genre is defined as being more realistic than other genres and what could be more realistic than a depiction of somebody remembering true events? 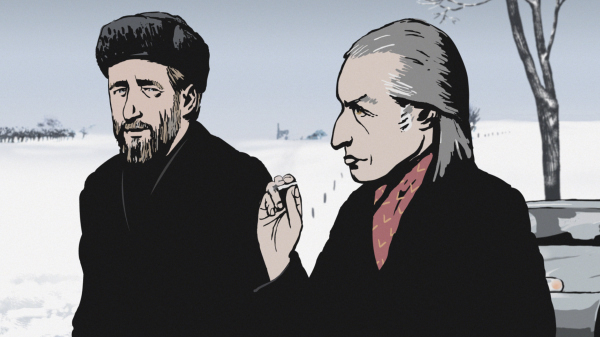 Despite very stylised animation and being presented like a documentary, this film blends reality and fiction as the filmmaker struggles to discern what he remembers and what actually happened. 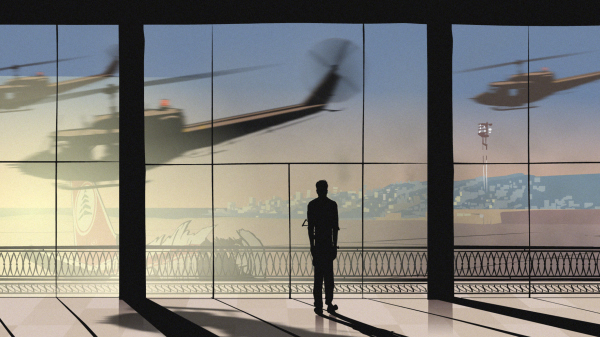 Waltz With Bashir is a 2008 Israeli animated war drama directed by and starring Ari Folman as himself while he served in the army during the 1982 Israeli Lebanon War. After a friend of his recounts a PTSD dream he's continuously since the end of the war, Folman is surprised to realise that he remembers nothing of that time, despite knowing he was there. He later has a vision of the Sabra and Shatila massacre in Beirut and goes on a journey interviewing friends and people who served alongside him to discover what really happened and what his part in the massacre was. 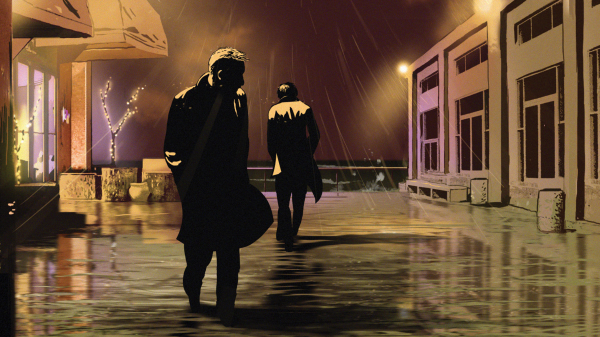 Amnesia is usually used as a plot contrivance in films to slow the pace down, but in Waltz With Bashir it is used as the crux of the plot, allowing the information to develop naturally. The animation, we're led to believe in the film, was not necessarily a stylistic choice originally, but more a compromise as some of the interviewees did not wish to appear in the film due to its sensitive subject and in any case the animation allows Folman to show us the action unfolding from the characters' point of view rather than having them describe it to us over stock footage. But the jerky, 3D styling fits well with the film's sombre tone - it doesn't look silly, cute or funny. In fact by being able to exaggerate the darker, more horrifying moments in a scene, the film is given a gritty punkish atmosphere, which adds to the drama. It makes it feel as though the real footage is too dark to be remembered and that this cartoonish depiction is the only way the minds of those involved can rationalise it. The film's title has been an interesting point of debate. Most film critics tend to agree it is a reference to a dance with Death; Bashir being the short-lived Israeli-supported president of Lebanon, assassinated in 1982. Waltz With Bashir tells an interesting timeline of Israel's involvement in the war from the frontline - the young soldiers taken in by propaganda and the promise of a good and honourable life, but quickly they forget why they were sent to war. We don't hear incessant anti-Palestine messages from the Israeli government, in fact they're barely mentioned apart from in connection with being there. The film describes the pointlessness of war in the eyes of those fighting it to a tee, whether through their unemotional recounting of events or that their lives took on no meaning, if not less, as a result. So, if you're looking for a thought-provoking film about harsh realities, then consider this animated docu-drama about morality, mental illness and the psychology of war as one movie you should watch this Christmas.